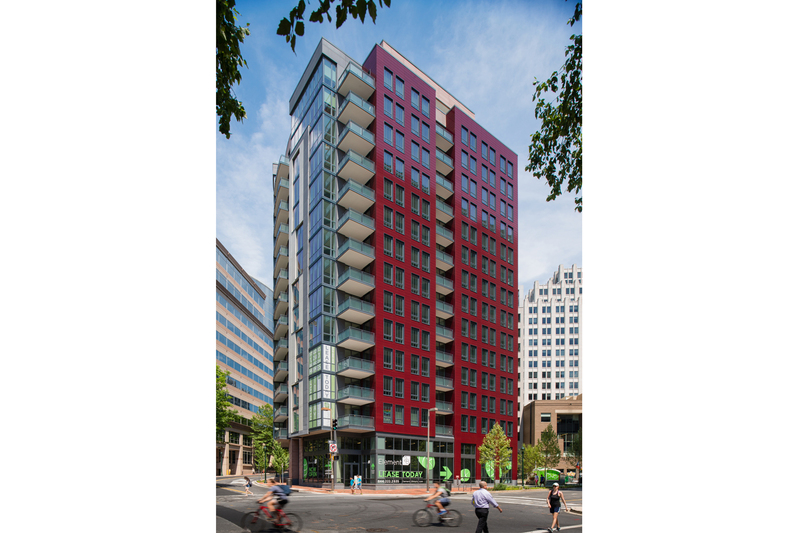 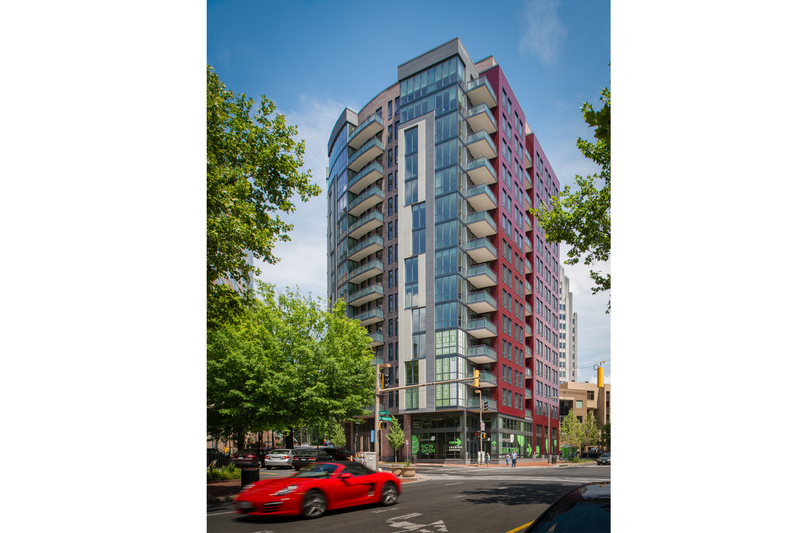 Element 28, a luxury apartment building over ground floor retail space, sits at the intersection of Old Georgetown Road and Commerce Lane, a prominent corner in the Central Business District of Bethesda, Maryland. 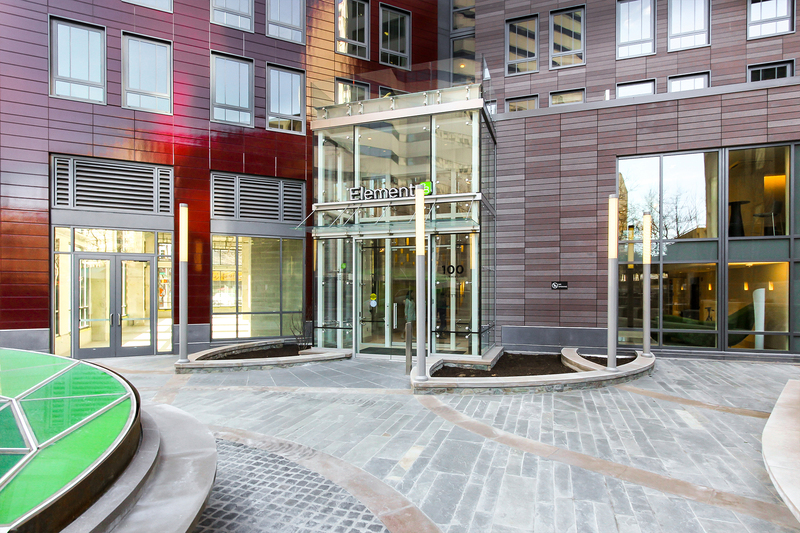 Developed by Kettler, the design features a unique glazed terra cotta rain screen façade and a public plaza containing an architectural sculpture. 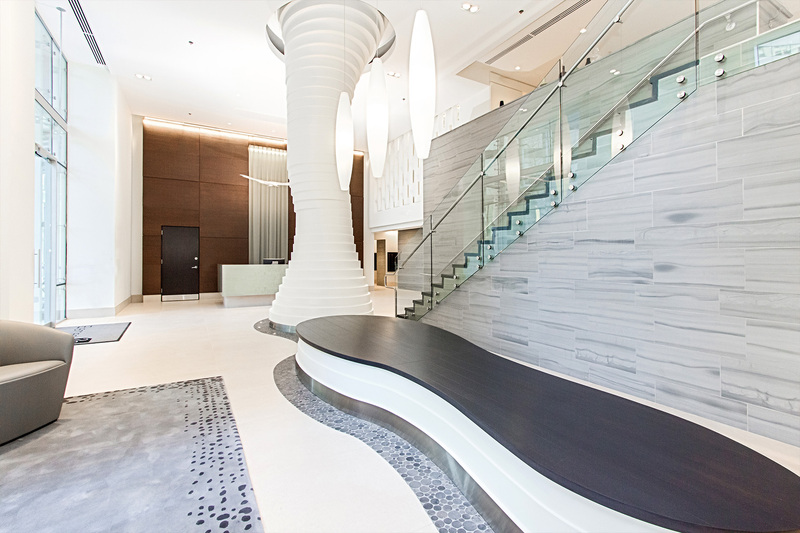 Element 28 also includes significant environmental design components. 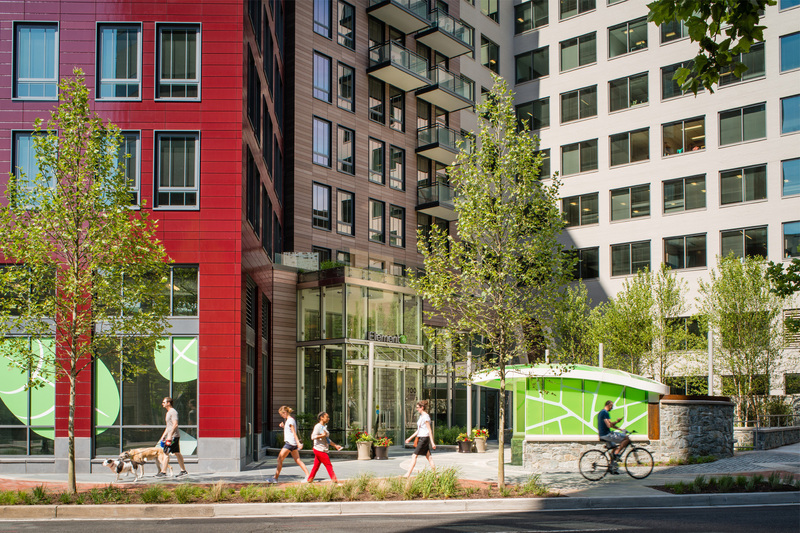 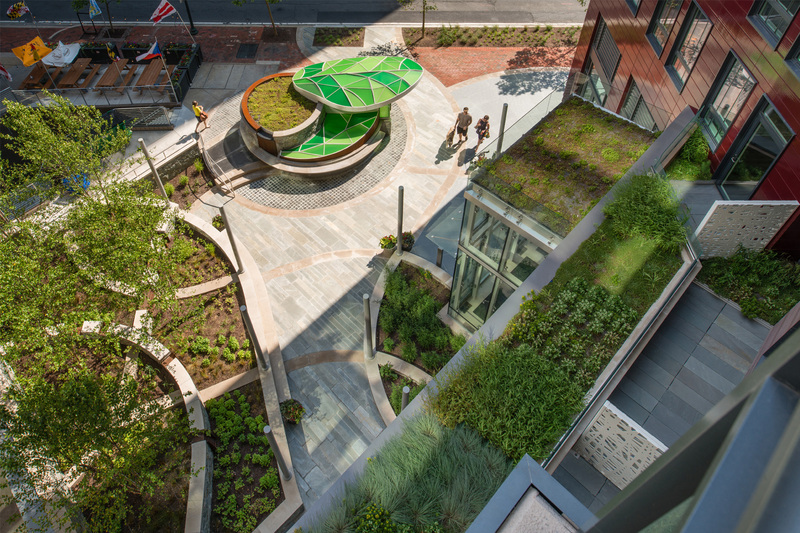 The landscaped roof deck and the new street level park with its bio-retention facility address Montgomery County’s extensive storm water management requirements and reduce the building’s heat island effect. 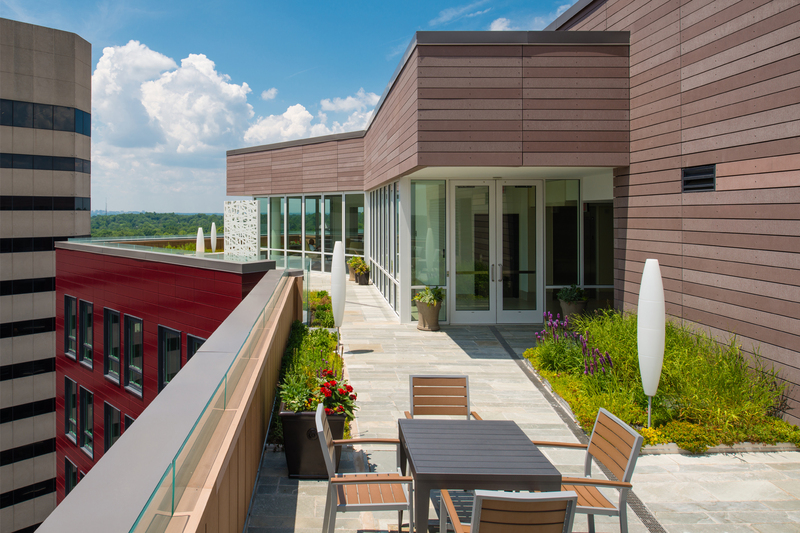 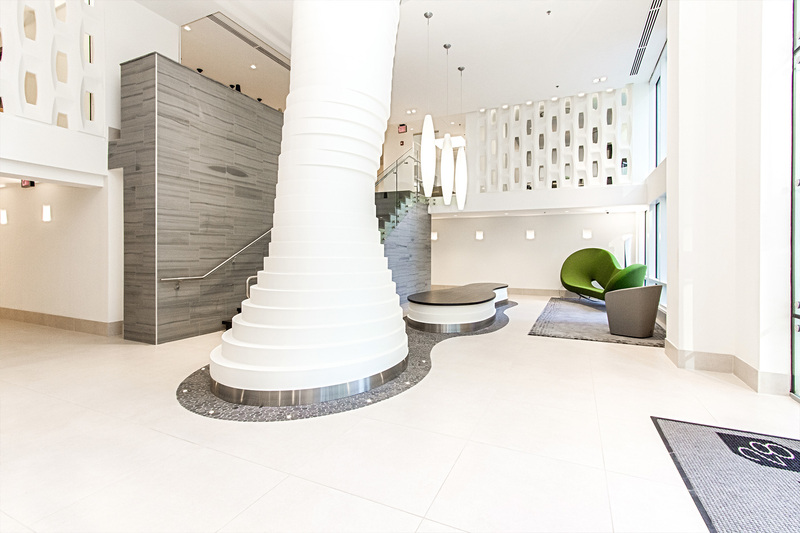 The project’s variable refrigerant flow (VRF) HVAC system provides high-efficiency heating and cooling to occupants while maximizing usable area throughout the building and on the roof.